Nouri Mosque in Mosul After Retaking from Isis, 11 July 2017. Courtesy of Wikimedia Commons. 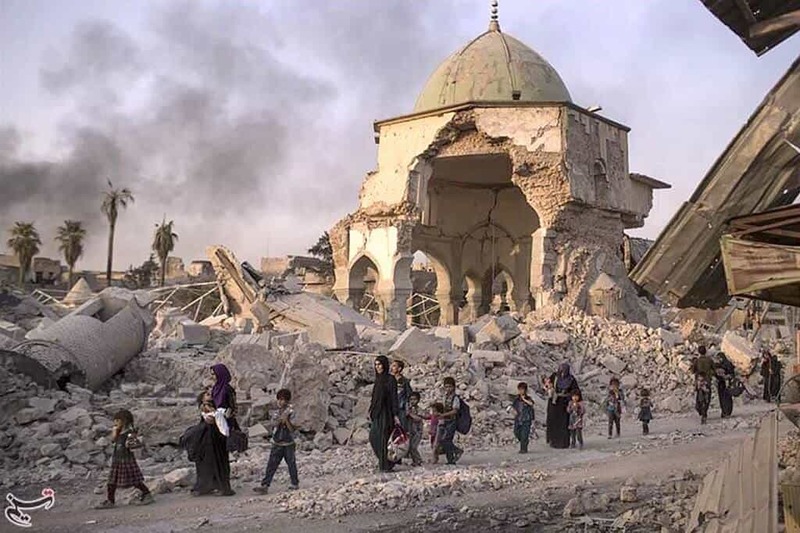 Almost eight months after the defeat of ISIS in the Iraqi city of Mosul, the United Arab Emirates (UAE) has partnered with UNESCO and Iraq to restore what is left of the city’s iconic al-Nouri Mosque and al-Hadba Minaret. Formed as part of the UNESCO initiative – ‘Revive the Spirit of Mosul’ – the restoration of these historic landmarks forms the flagship of the proposal, and looks to recover the Mosque and its celebrated 45-metre leaning Minaret, which was built 840 years ago, to its former prestige. The UAE has given $50.4 million in support of these restorations – making it the largest and unprecedented collaboration to rebuild a site of cultural heritage in Iraq to date. During IS’s invasion and subsequent occupation of the city in 2014, the al-Nouri Mosque held symbolic importance for IS, and was chosen as the site for Abu Bakr al-Baghdadi, the leader of ISIS, to announce their so-called ‘caliphate’. The caliphate’s black flag could also be seen flying from atop the al-Hadba Minaret throughout the period of their invasion. Nour al-Din, after whom the holy site is named, ordered its construction in 1172 and was famous for waging jihad against the Christian Crusaders. 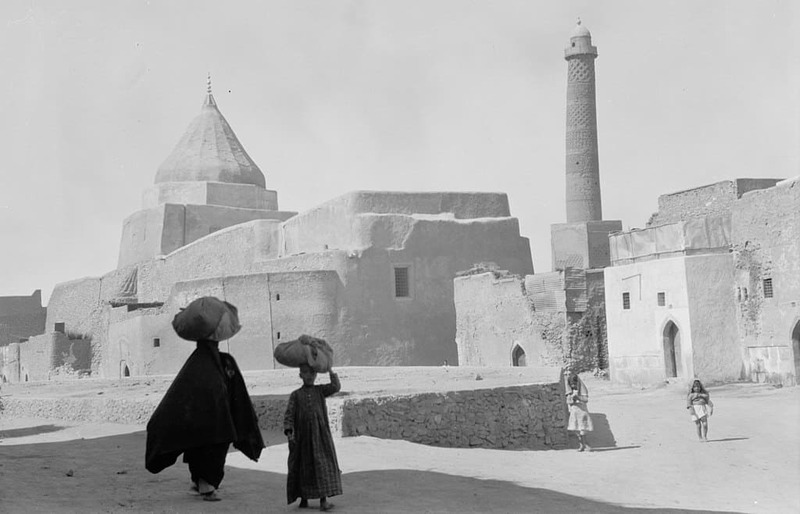 Iraq, Mosul, In the heart of ancient Mosul, showing a Yezidi shrine to the left and the Nouri Mosque minaret to the right. 1932. Courtesy of Wikimedia Commons. It is alleged that IS destroyed both the Mosque and Minaret rather than see them be lost to opposition forces. UNESCO’s collaboration with Iraq and the UAE has set-out a five-year plan to recover the site – starting with comprehensive documentation and clearing of the rubble, as well as the drawing of plans for its reconstruction. Following this, the initiative will focus on the restoration and historically faithful reconstruction of the al-Nouri Mosque, the leaning al-Hadba Minaret and the surrounding buildings. Mosul’s historic gardens and numerous other open spaces and infrastructures are also included in UNESCO’s plan, which envisions the building of a memorial and museum on site. According to Audrey Azoulay, the Director-General of UNESCO, the UAE “is championing the cause of heritage as the living soul of society, a unique opportunity to foster hope and social cohesion and a springboard for skills and jobs for young people”. ‘Revive the Spirit of Mosul’ aims to revive a spirit of peaceful co-existence and social cohesion in Mosul and beyond, especially by expanding on the importance of both culture and education. 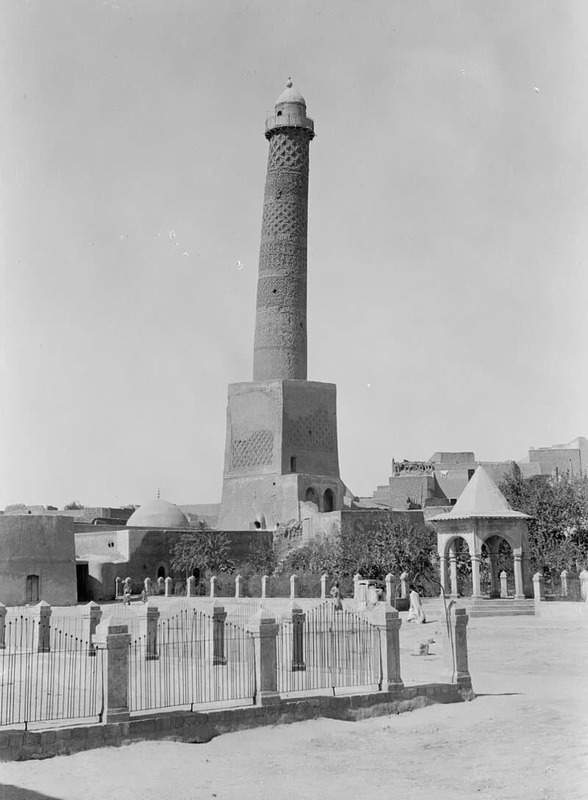 Iraq, Mosul, The leaning tower showing detail of arabesque decoration. 1932. This work is from the Matson (G. Eric and Edith) Photograph collection at the Library of Congress. According to the library, there are no known copyright restrictions on the use of this work. The only restrictions concern colour lantern slides, which this photo is not. 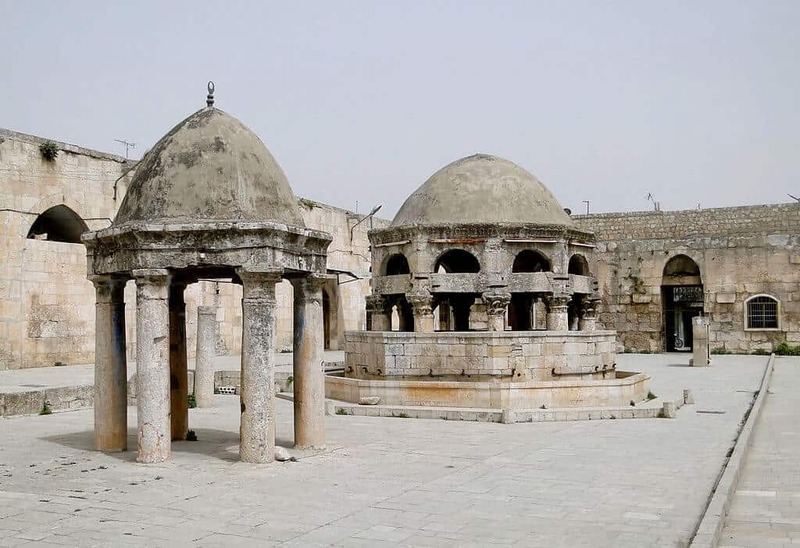 Great Mosque of Maarrat al-Numan, Syria. 2010. Photographer: Bernard Gagnon. Courtesy of Wikimedia Commons. FEATURED IMAGE: Iraq, Mosul, In the heart of ancient Mosul, showing a Yezidi shrine to the left and the Nouri Mosque minaret to the right. 1932. Courtesy of Wikimedia Commons.